Despite the fact that people tend to portray books and Twitter as opposite ends of the cultural spectrum, it turns out that not only are book-lovers on Twitter, but they're falling in love there, too. One woman's tweet to a bookstore's official Twitter account eventually led to her marrying the man who ran the account. As love stories go, you might not be able to find something like it in Jane Austen, but it would probably make an awesome 21st century romance novel. Corporate Twitter accounts are not usually what comes to mind when you think about love. In fact, such accounts are most often associated with trying to handle customer complaints or with making some sort of epic blunder that outrages half the Internet. Social media is a dangerous thing, guys. But despite this, if there is one thing social media is good at, it's bringing people together. Even if one of them is just manning a corporate Twitter account. 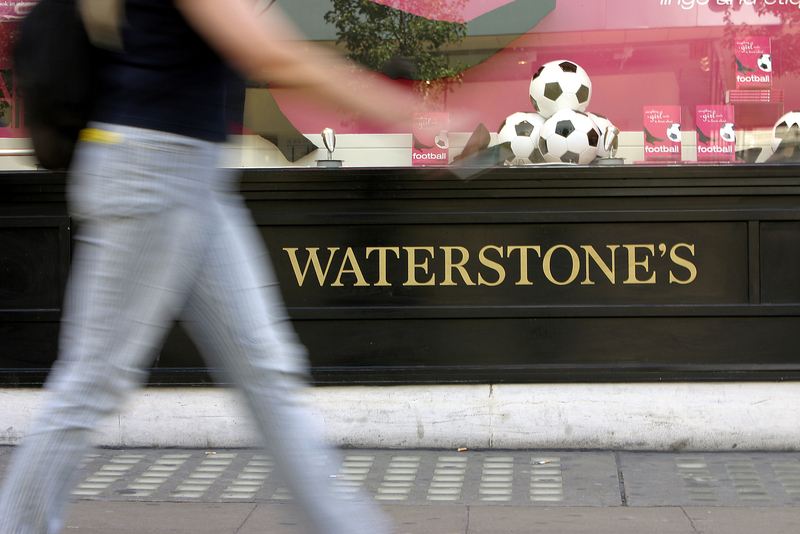 Back in 2012, Jonathan O'Brien was in charge of the Twitter account for Waterstones, a major bookstore in London. Victoria Carlin didn't know his name, but she just knew that she liked whoever was tweeting from the account — especially what they had to say about Pokemon. And wonder of wonders, the Waterstones account tweeted back. Fortunately, Victoria knows the truth about people who love both books and Pokemon. And as fate would have it, this wasn't the end of their interaction. The two tweeted back and forth for a while and then decided to meet up in person. They told Mashable that their first date involved donuts and a walk during Jonathan's lunch hour. "It was easily the best first date I've ever been on (and hopefully the last first date I'll ever go on)," he said. And like any good book nerd, he also brought her a book he knew she liked, namely: The Wizard of Oz. If this all sounds like the impossible and obviously engineered plot of a romantic comedy, you're not alone. But actually, it's real. And not only did they start dating, but four years later, the two got married. And, just to include as many literary devices as possible, everything came full circle when they included a Pokemon connection at the wedding. It's true what they say: The truth really is stranger than fiction. Also, it seems that contrary to people's assumption, it seems that Twitter actually makes the best fodder for literature. If no one writes a book based on this I will be so disappointed.